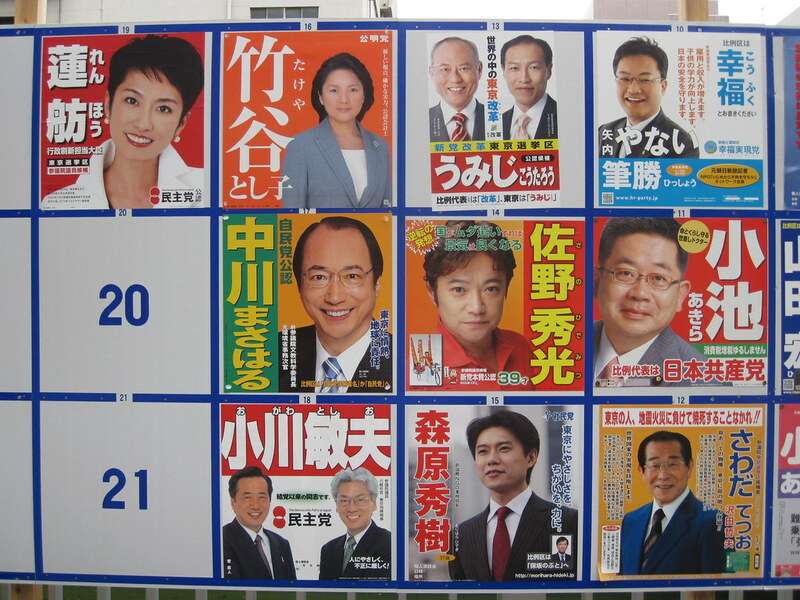 A compilation of non-sense makes the Japanese election champaign so edgy. What's so edgy about Japanese election champaign? 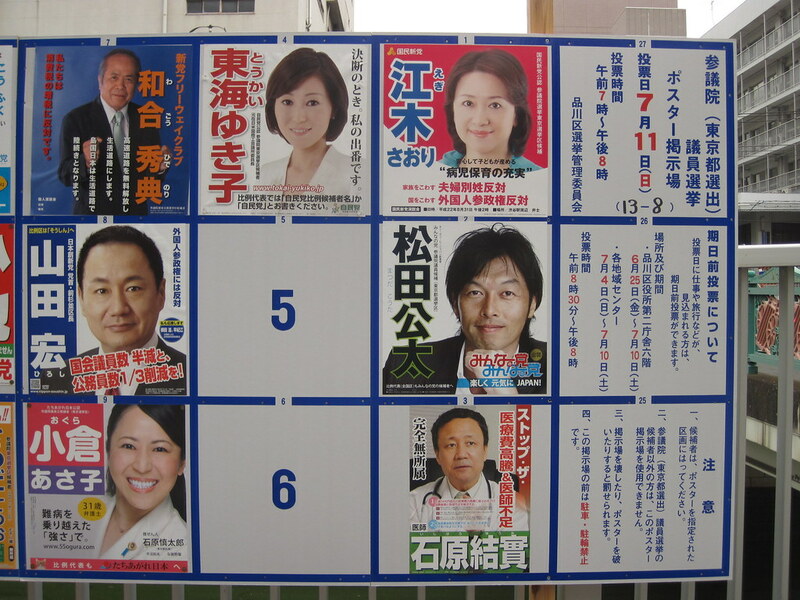 Despite the fact that Japan is a high tech-oriented / gadget-fanatic country, when it comes to an election it's all about how loud (noisy) and persistent (same phrase over and over) you can be. So, how does each candidate promote their initiatives? 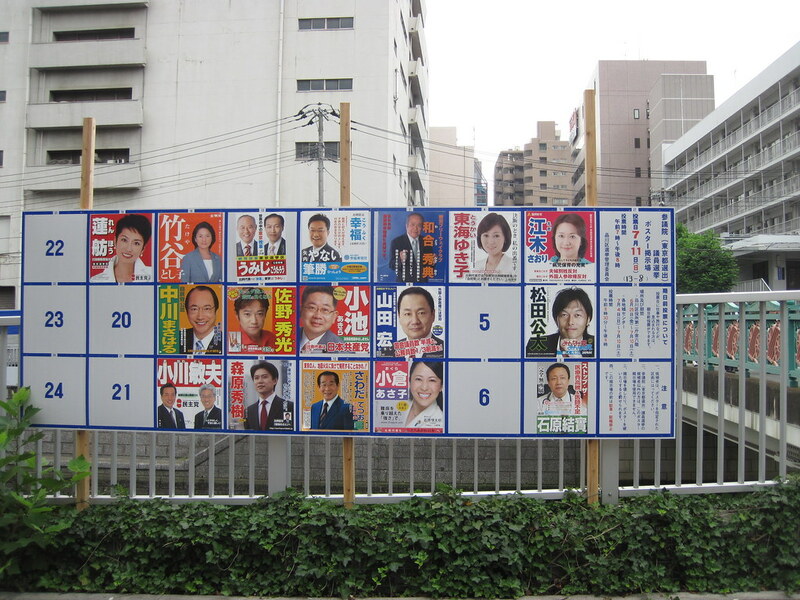 Each candidate is allowed to put a poster on a board, prepared by the election officials. The board is scattered across Japan. 42cm x 32cm for a piece. How much information can you put in this tiny space? Each candidate is allowed to print her/his manifesto, which is later compiled as a newspaper format by the election officials. A copy is delivered to each household. Creativity, spanning from a creative director-powered design to Windows 3.1 Memopad-made (seems like it) design. Each candidate is given 6 minutes (30 second profile and 5 minutes 30 seconds speech for the Upper House candidate) to talk about her/his initiatives. It's broadcasted on TV. Since editing is not allowed, some of the candidates come up with a very conspicuous (in many ways -- good and bad) clip. 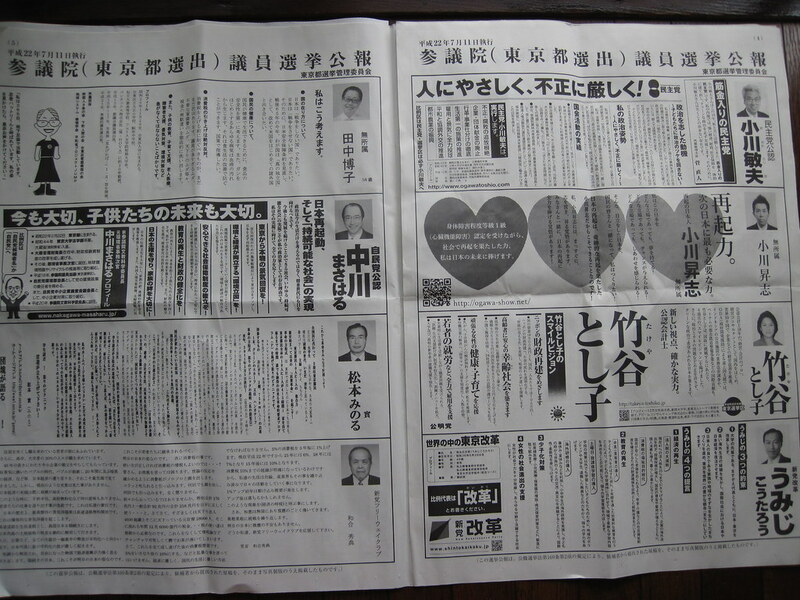 Koichi Toyama, one of the candidates for Tokyo governor in 2007, was a sensational one. Check the clip from 05:00. There is a reason for this parrot-like repetition -- another law states that while the champaign mobile is in motion, a candidate is NOT allowed to conduct any form of election champaign. This is not the case when it is not in a motion. However, a candidate is allowed to REPEAT a phrase while the car is in motion. Candidates make a stop at places where people gather for a speech. It gets worse when the speech mixes with the other candidate's -- reminds of a sound of vuvuzela. Whoever wins, there's got to be some changes on this system and non-sense laws. 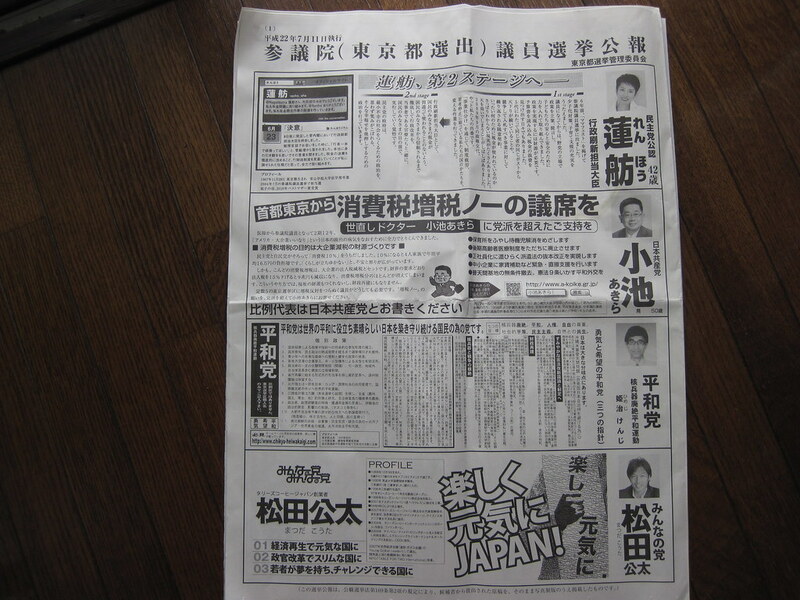 Note: EDGY JAPAN does NOT endorse any of the candidates that appear on this article. They are all cited as references.